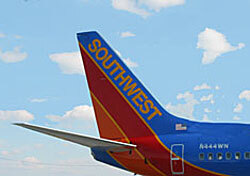 The Baltimore Sun published an article about how Southwest’s prices aren’t always the best at the last minute. Southwest explains this by saying its cheapest tickets get snatched up first, leaving only the more expensive tickets remaining at the last minute, which jives with the experience I’ve had booking tickets on Southwest. The article also points out that passengers may be able to find cheaper fares on other airlines that discount airfare at the last minute to fill seats. The takeaway moral-of-the-study? Comparison shopping is important. Is it possible to say “duh” without sounding totally dismissive (or like I just took a time machine from 1988)? Probably not, in both cases. But come on, I don’t think I’m in any way overestimating your travel savvy to think that if you’re a regular reader of SmarterTravel and you care about saving money on flights that of course you’re not going to go into any purchase with blind faith that any airline is going to always have the cheapest fares. It’s fair to point out every once in a while that shopping around is smart, but what I’d really like to see is a university study on the best time to book overall. That’s the kind of advanced savings theory that, to me, is worthy of higher education.